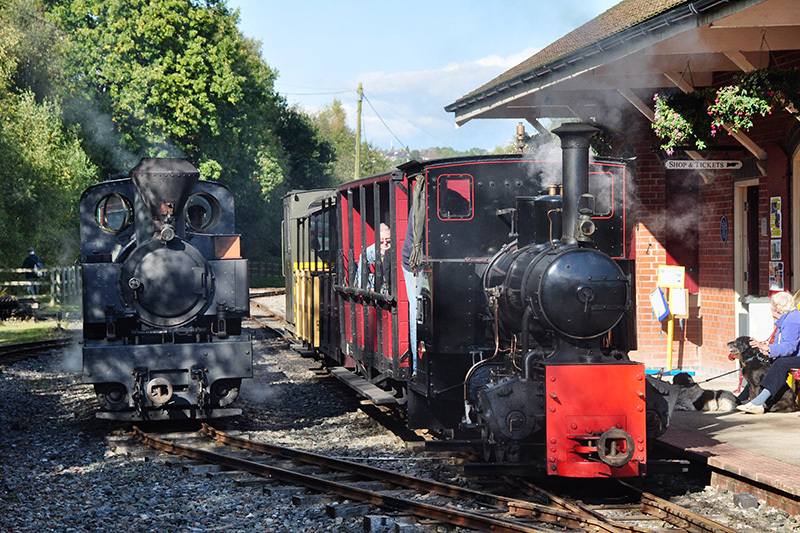 We’ve been to Apedale today, for their mini-gala celebrating the 100th birthdays of two of their locomotives (I’m not sure when the two actually steamed for the first time, but they were built in 1916) – the Kerr Stuart “Joffre” and the Hudswell Clarke no 104. Both were in fine form, steaming well, as was their fellow “Stanhope”. Stanhope is a mere 99 years old, so had to wait down the line while the birthday boys had their cake (coal and wood with Polyfilla icing). Next year perhaps? For more about the day, and several more photos, visit “299 years of steam” on Geoff’s Rail Diaries.